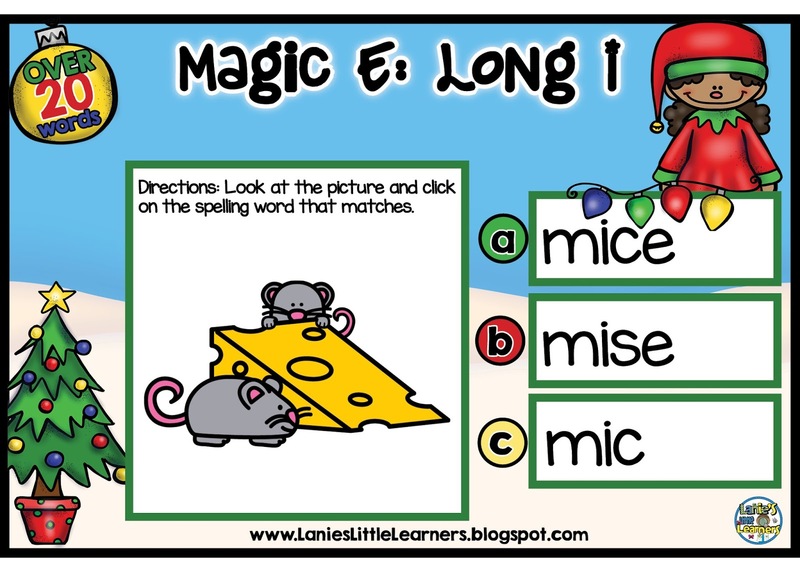 I needed an interactive and engaging way for my students to practice spelling skills with long i (CVCe). I designed several games to use on the SMARTBoard and Chromebooks. My students love these games. I introduce them to the whole group and we go over the spelling pattern and what each picture represents. Then, the next day the students practice in independent small groups. I like the way BOOM Learning has a way of keeping track of their attempts. Perfect for whole group, small group, or intervention. Students just need an iPad or computer and they can complete these task cards online. You can even use Boom Cards through your interactive whiteboard! These cards are self-checking and no prep- which means NO printing, cutting, or laminating! 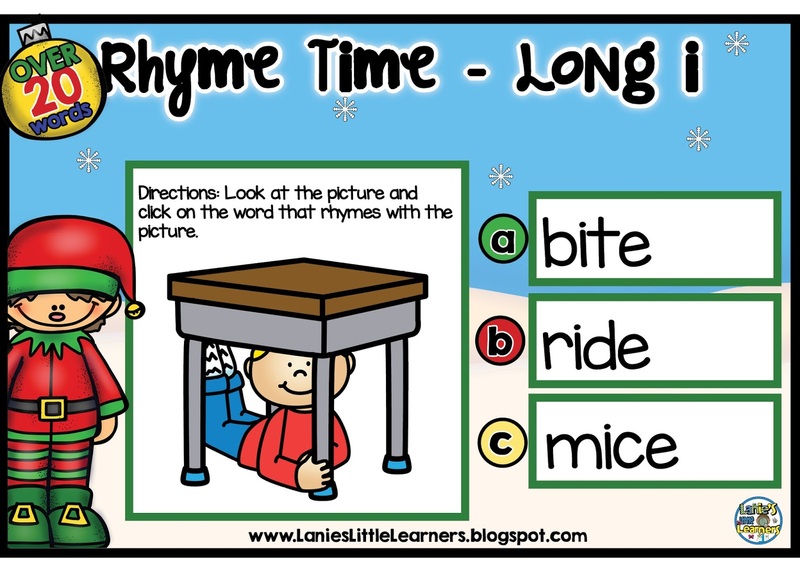 These are supplemental spelling activities to go along with Journey's 1st Grade Reading Unit 3 Lesson 15 Animals. In this game, the students must choose the correct spelling that matches the picture. There are over 20 task cards for the students to practice their skill. Students just need an iPad or computer and they can complete these task cards online. You can even use Boom Cards through your interactive whiteboard! These cards are self-checking and no prep- that means no printing, cutting, or laminating!! The spelling pattern complements the Journey's 1st Grade Reading Unit 3 Lesson 15 Animals. In this game, the students must choose the correct rhyming word that matches the picture. There are over 20 task cards for the students to practice their skill. Students just need an iPad or computer and they can complete these task cards online. You can even use Boom Cards through your interactive whiteboard! These cards are self-checking and no prep- that means no printing, cutting, or laminating!! The spelling pattern complements the Journey's 1st Grade Reading Unit 3 Lesson 15 Animals. 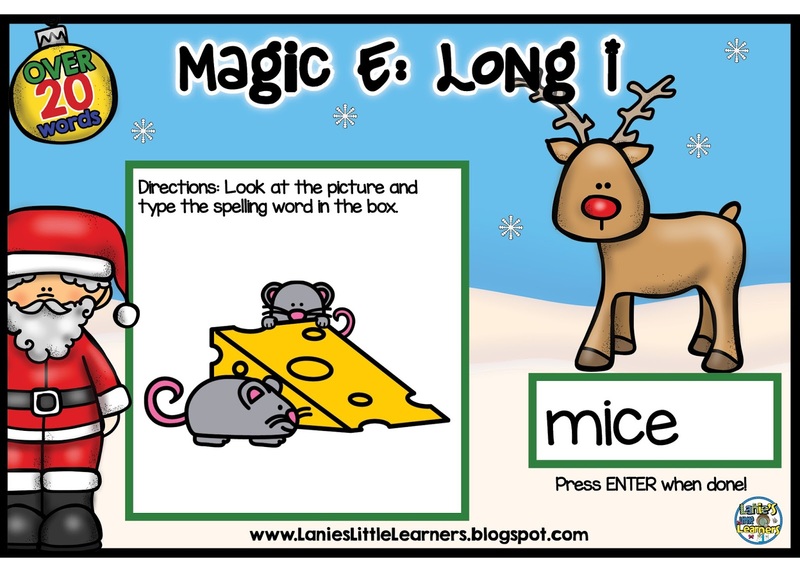 In this game, the students look at the picture and type the correct spelling in the box. When they are done they simply press enter to see if they are correct. There are over 20 task cards for the students to practice their skill. Students just need an iPad or computer and they can complete these task cards online. You can even use Boom Cards through your interactive whiteboard! These cards are self-checking and no prep- that means no printing, cutting, or laminating!! The spelling pattern complements the Journey's 1st Grade Reading Unit 3 Lesson 15 Animals. These decks CAN ONLY BE USED WITHIN THE BOOM LEARNING APP and cannot be printed, downloaded, or transferred to Google classroom--or any other platform. Boom Cards offer an easy way for teachers to assess this important skill. Ignite your kid's interest in this engaging new technology! What is a BOOM CARD? Boom Cards play on modern browsers (released in the last three years) on any modern browsers on interactive whiteboards, desktops, laptops, netbooks, Chromebooks, iPads, iPhones, Android tablets and phones, and Kindle-Fire tablets. Boom Cards apps are in The App Store, Google Play, and the Amazon Kindle Fire store. To redeem your Boom Cards, you will create an account for Boom Learning. The account you get with your purchase allows you to play the Boom Cards on interactive whiteboards and with individual students using Fast Play. Fast Play does not save student progress reports. Boom Learning will give customers who are new to Boom Cards, for one year, and at no charge, the ability to collect and maintain student progress reports for up to 80 students. To collect and maintain student progress reports, you must assign students individual usernames and passwords. At the end of that year, you may renew or choose not to renew. If you do not renew, you will be able to continue using Boom Cards with the Fast Play feature. Fast Play does not track individual progress."